Australia’s city-dwellers may assume they have the monopoly on top-shelf art, and perhaps nowhere more so than in Melbourne, one of the most arts-rich destinations in the Southern Hemisphere. With our metropolises so well stocked, venturing out of town for a culture fix seems redundant. But for those prepared to make the journey, there are rich rewards to be found at the Peninsula Summer Music Festival. Now in its 12th year, it has established a colourful pedigree presenting a diverse spectrum of musical genres in unexpected locales the length and breadth of the Shire. On paper, there’s perhaps not much on offer that isn’t readily available in the Big Smoke. But it’s this festival’s resourcefulness, creating pop-up concert platforms in surprising spaces, that truly quantifies its worth. There are of course innate limitations to make-shift venues, and purists may sneer at the dead acoustic of a tent or less-than-Steinway quality pianos. But this would be missing the point. New contexts lend fresh perspectives on music, and with the dusty pomp and ceremony of traditional concert halls removed, a remarkable alchemy occurs. 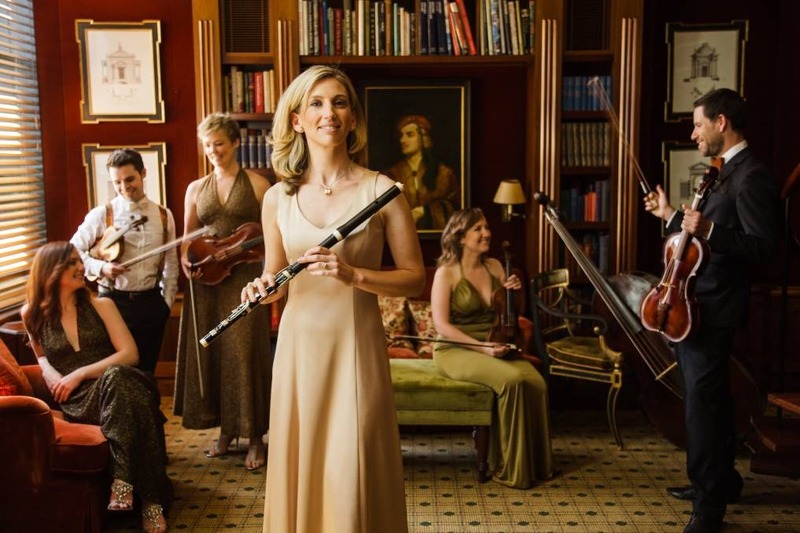 One such transformation was evident at the first Saturday evening performance of 2019’s season, as the Australian Haydn Ensemble, joined by sublime soprano Sara Macliver, offered a historically informed performance of early classical repertoire, closing with a rousing quartet of popular operatic arias by Mozart. Presented in the informal setting of a marquee by St John’s Church in Flinders, there was a moment that seemed to perfectly capture the festival’s ethos. As the ensemble rocketed through Vivaldi’s irascible In Furore Iustissimae Irae, a young girl in the front row, clearly moved by Macliver’s vocal pyrotechnics, spontaneously leapt into a quasi-pirouette. That a similar scene could ever unfold under the austere dos-and-don’ts of a concert hall seems doubtful. Earlier on Saturday afternoon, another facet of this Festival’s identity was on display. Soprano Merlyn Quaife and pianist Andrea Katz of Songmakers Australia offered a fascinating program of lieder and contemporary Australian art song, including a world premiere by Roger Heagney. This wasn’t the typical scenario of new music being smuggled onto a classical program next to crowd-pleasers, but rather an intimate afternoon of musical storytelling, care of homegrown creativity and blue-sky programming. Particularly of note, joined by the festival’s director Benjamin Opie on oboe, a thrilling account of Margaret Sutherland’s 1938 penned The Orange Tree was a revelation; a true Australian masterwork that deserves many more outings.